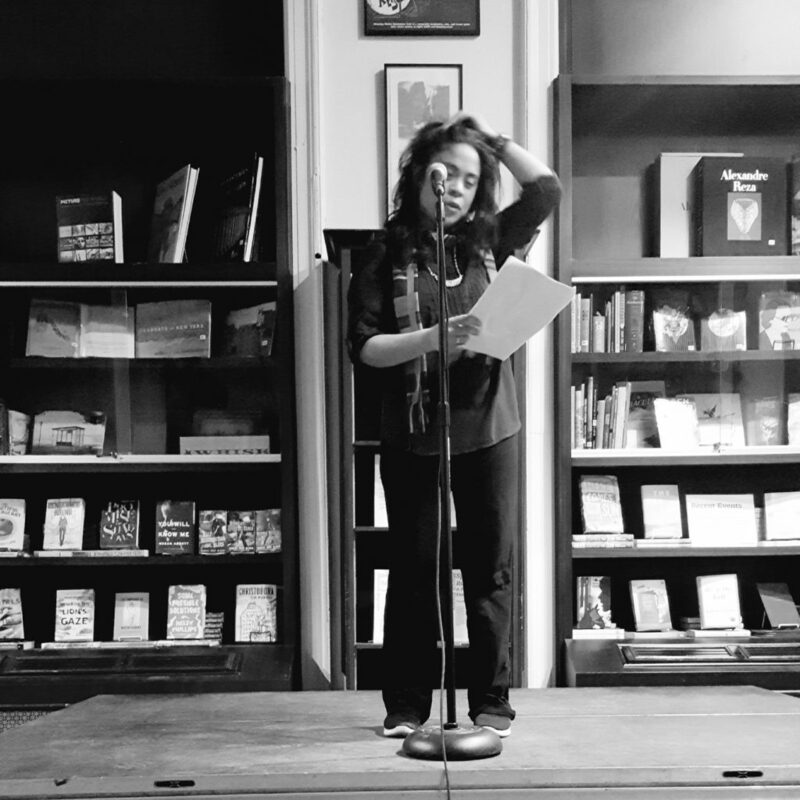 The poetry community has the power to amplify the most valuable (and often muffled) voices, by coming together–not by becoming one voice, but by speaking as individuals with complex and multi-faceted identities. With this reading, we hope to ignite great energy and power through individuality and solidarity. AND WE DID!!! IT WAS FIRE!!! Housing Works Bookstore Cafe has established itself as a New York downtown institution and tourist destination for the last decade. Special events and a fully stocked cafe make this a great place to meet friends, relax, and shop the best book, movie, and music selection in New York City. Our one-of-a-kind space is available for rental and all of our merchandise is donated. We are staffed almost entirely by volunteers and 100% of our profits go to Housing Works. For more information visit Housing Works. KAVEH AKBAR is the founding editor of Divedapper. His poems appear recently or soon in The New Yorker, Poetry, APR, Tin House, PBS NewsHour, Ploughshares, and elsewhere. He is the author of Calling a Wolf a Wolf (Alice James 2017) and the chapbook Portrait of the Alcoholic (Sibling Rivalry). 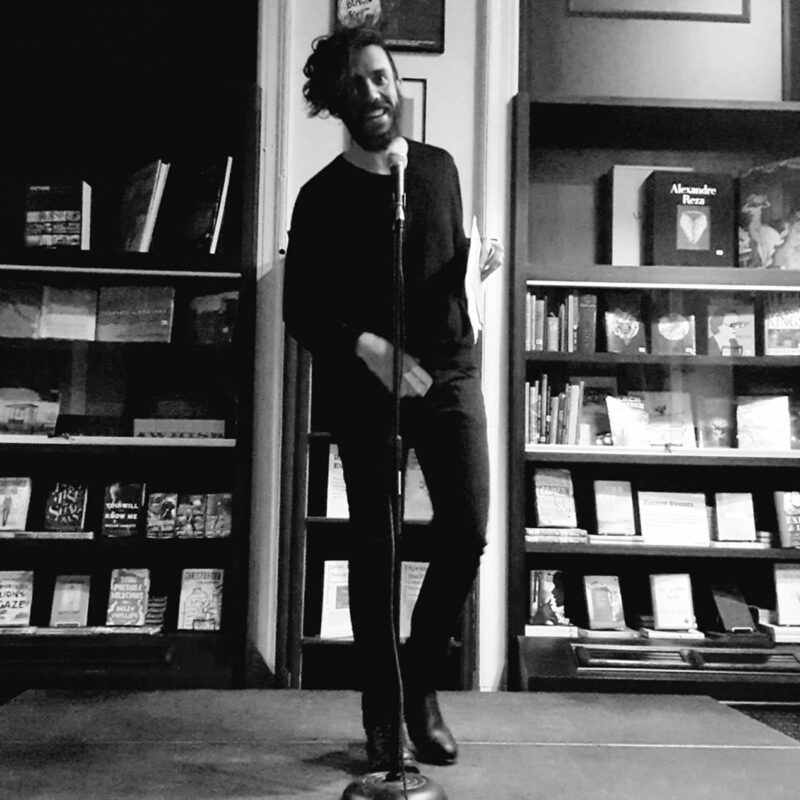 The recipient of a 2016 Ruth Lilly and Dorothy Sargent Rosenberg Fellowship from the Poetry Foundation and the Lucille Medwick Memorial Award from the Poetry Society of America, Kaveh was born in Tehran, Iran, and currently lives and teaches in Florida. MAHOGANY L. BROWNE The Cave Canem, Poets House & Serenbe Focus alum, is the author of several books including Redbone (nominated for NAACP Outstanding Literary Works), Dear Twitter: Love Letters Hashed Out On-line, recommended by Small Press Distribution & About.com Best Poetry Books of 2010. Mahogany bridges the gap between lyrical poets and literary emcee. Browne has toured Germany, Amsterdam, England, Canada and recently Australia as 1/3 of the cultural arts exchange project Global Poetics. Her journalism work has been published in magazines Uptown, KING, XXL, The Source, Canada’s The Word and UK’s MOBO. Her poetry has been published in literary journals Pluck, Manhattanville Review, Muzzle, Union Station Mag, Literary Bohemian, Bestiary, Joint & The Feminist Wire. She is the co-editor of forthcoming anthology The Break Beat Poets: Black Girl Magic and and chapbook collection Kissing Caskets (Yes Yes Books). She is an Urban Word NYC Artistic Director (as seen on HBO’s Brave New Voices), founder of Women Writers of Color Reading Room, Director of BLM@Pratt Programming and facilitates performance poetry and writing workshops throughout the country. 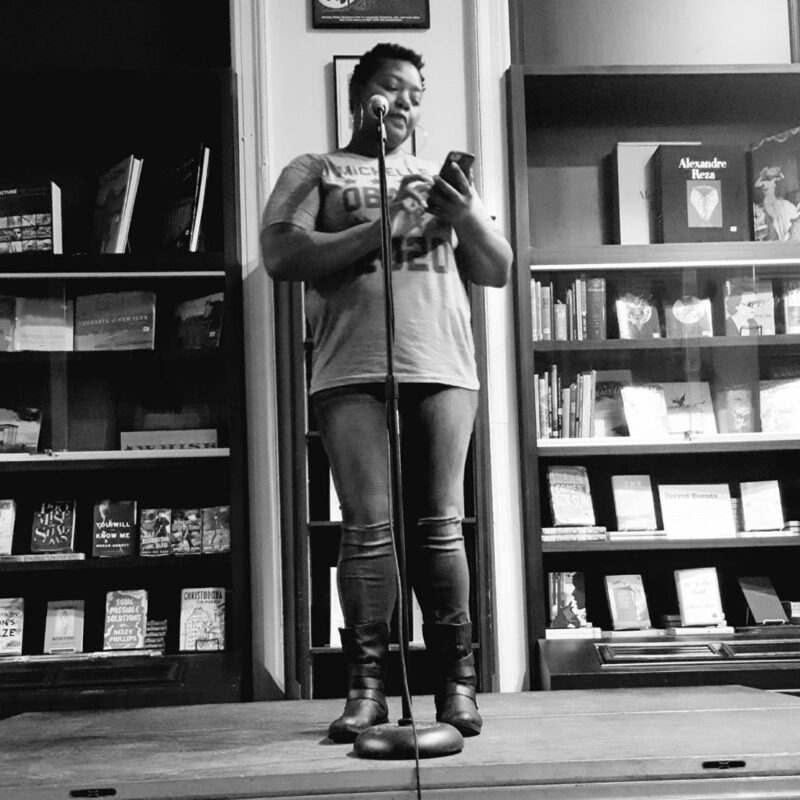 Browne is also the publisher of Penmanship Books, the Nuyorican Poets Café Poetry Program Director and Friday Night Slam curator and recent graduate from Pratt Institute MFA Writing & Activism program. 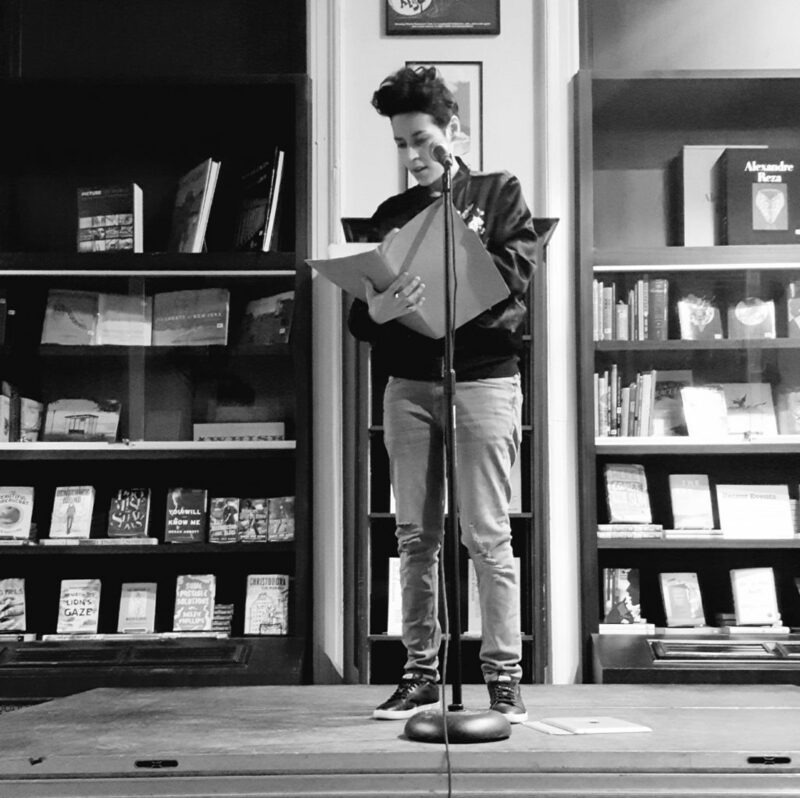 DENICE FROHMAN is an award-winning poet, writer, performer, and educator, whose work explores the intersections of race/ethnicity, gender, and sexuality. She is the 2013 Women of the World Poetry Slam Champion, 2014 CantoMundo Fellow, 2013 Hispanic Choice Award winner, and 2012 Leeway Transformation Award recipient. Her work has appeared in ESPN, the Huffington Post, Split This Rock’s The Quarry, and the forthcoming book, Jotas: An Anthology of Queer Latina Voices. 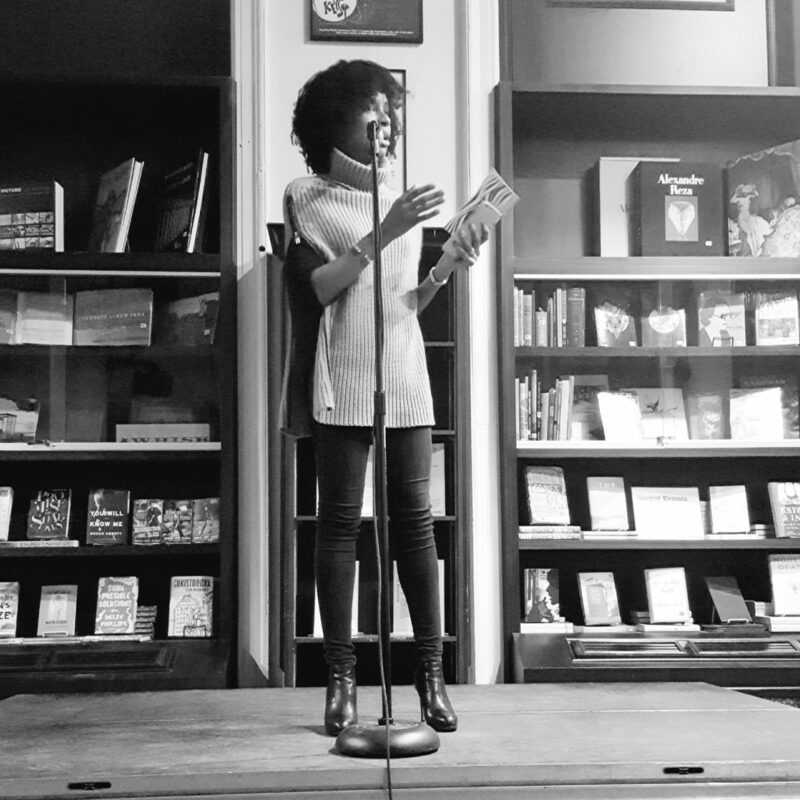 Her poem “Dear Straight People” went viral with over 2 million views. She has a Master’s in Education and was the former Program Director at The Philly Youth Poetry Movement. SARAH GAMBITO is the author of the poetry collections Loves You (Persea Books, forthcoming), Delivered (Persea Books) and Matadora (Alice James Books). Her poems have appeared or are forthcoming in The Iowa Review, The Antioch Review, Denver Quarterly, The New Republic, Field, Quarterly West, Fence and other journals. Her honors include the Barnes & Noble Writers for Writers Award from Poets and Writers and grants and fellowships from The New York Foundation for the Arts, Urban Artists Initiative and The MacDowell Colony. She is Director of Creative Writing/Associate Professor of English at Fordham University and co-founder of Kundiman, a non-profit organization serving Asian American writers. 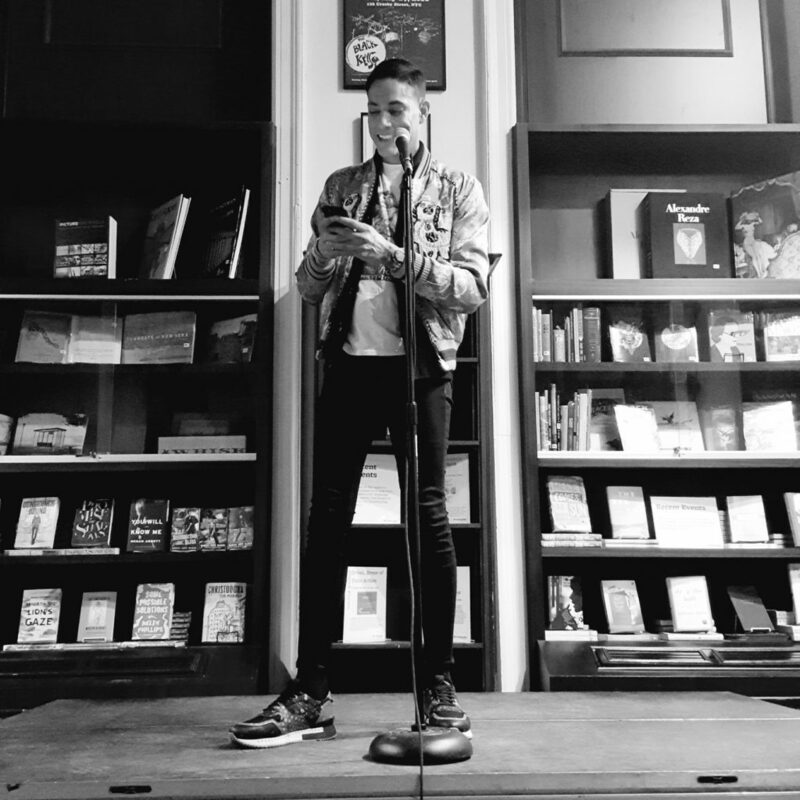 DAVID TOMAS MARTINEZ’s debut collection of poetry, Hustle, was released in 2014 by Sarabande Books, winning the New England Book Festival’s prize in poetry, the Devil’s Kitchen Reading Award, and honorable mention in the Antonio Cisneros Del Moral Prize. He is the 2015 winner of the Verlaine Poetry Prize and a 2017 NEA. Martinez is a Pushcart winner, CantoMundo fellow, and a recipient of the Stanley P. Young Fellowship from Breadloaf. A second collection, Post Traumatic Hood Disorder, is forthcoming from Sarabande Books in 2018. Martinez lives in Brooklyn. NICOLE SEALEY Born in St. Thomas, U.S.V.I. and raised in Apopka, Florida, Nicole Sealey is the author of Ordinary Beast, forthcoming from Ecco in fall 2017, and The Animal After Whom Other Animals Are Named, winner of the 2015 Drinking Gourd Chapbook Poetry Prize. Her other honors include an Elizabeth George Foundation Grant, the Stanley Kunitz Memorial Prize from The American Poetry Review, a Daniel Varoujan Award and the Poetry International Prize, as well as fellowships from CantoMundo, Cave Canem Foundation, MacDowell Colony and the Poetry Project. Her work has appeared in The New Yorker and elsewhere. Nicole holds an MLA in Africana Studies from the University of South Florida and an MFA in creative writing from New York University. She is the Executive Director at Cave Canem Foundation. CHRISTOPHER SOTO aka Loma (b. 1991, Los Angeles) is a poet based in Brooklyn, New York. 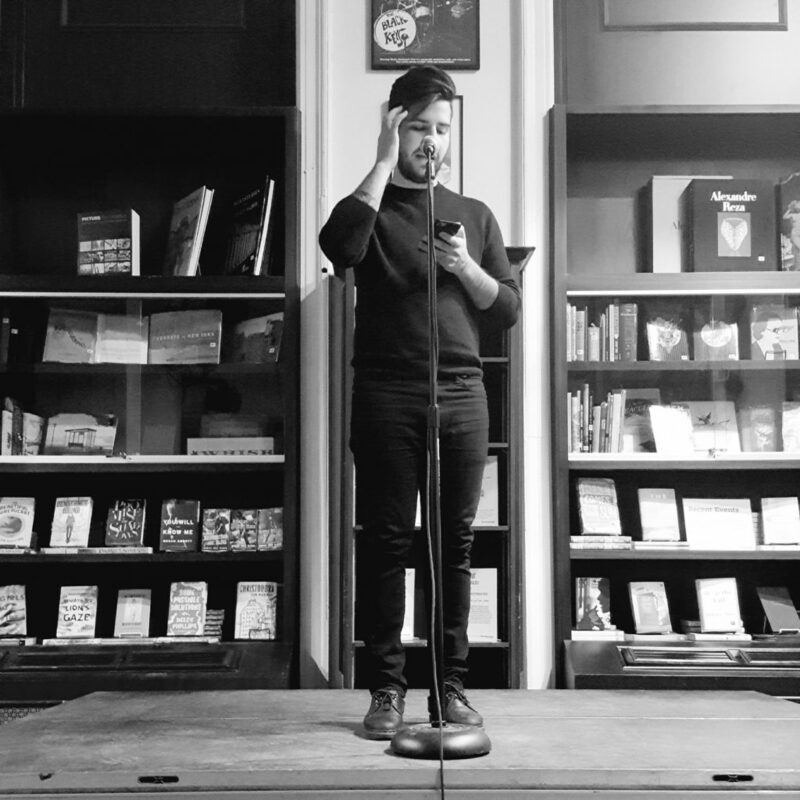 He was named one of “10 Up and Coming Latinx Poets You Need to Know” by Remezcla. He was named one of “30 Poets You Should Be Reading” by The Literary Hub. He was named one of “7 Trans & Gender Non-Conforming Artist Doing the Work” by the Offing. Poets & Writers honored Christopher Soto with the “Barnes & Nobles Writer for Writers Award” in 2016. Christopher Soto’s first chapbook “Sad Girl Poems” was published by Sibling Rivalry Press. His work has been translated into Spanish and Portuguese. He is currently working on a full-length poetry manuscript about police violence and mass incarceration. He founded Nepantla: A Journal Dedicated to Queer Poets of Color with the Lambda Literary Foundation and cofounded The Undocupoets Campaign. He is editing Nepantla: An Anthology Dedicated to Queer Poets of Color (Nightboat Books, 2018). He interned at the Poetry Society of America and received an MFA in poetry from NYU.